Many are familiar with the “super-sized” portions of popular consumer products available at various “big box” stores, such as Costco, Sam’s Club, and BJ’s Wholesale Club. Generally speaking, one doesn’t see the huge box of detergent in the neighborhood grocery store. That omission isn’t necessarily due to a choice made by the supermarket buyer; it’s likely a choice made by the detergent manufacturer. Is that choice fair to the grocer? In a recent decision by the Seventh Circuit Court of Appeals, Woodman’s Food Market, Inc. v. Clorox Co., 2016 U.S. App. LEXIS 14883 (7th Cir., Aug. 12, 2016), the Court reversed a federal district court and held Clorox’s refusal to sell bulk-sized product packages to some retailers – and not others, like Woodman’s – was not a violation of the Robinson-Patman Act’s (Act) prohibition on the disproportionate provision of promotional services [15 U.S.C. § 13(e)]. The Court added that size alone is not enough to constitute a promotional “service or facility” for purposes of 15 U.S.C. § 13(e), although it did hold open the possibility that, under a different factual pattern, package size might constitute a “service or facility” when combined with other promotional content. Clorox sold bulk-sized products to Woodman’s at one point, but ceased the practice in 2014. It continued, however, to sell the bulk-sized products to Costco and others. Woodman’s sued in the Western District of Wisconsin, contending that Clorox had violated § 2(e) of the Robinson-Patman Act (the Act). § 2(e) [15 U.S.C. § 13(e)] governs “cooperative merchandising services” – special efforts to promote the resale of an owner’s goods. The federal district court determined that Woodman’s had at least stated a claim against Clorox that should be heard. Package size alone isn’t a promotional service under the Act, indicated the 7th Circuit. The Court added that §§ 2(e) and (d) targeted only “a narrow band of conduct” that Congress identified as a problem: “the provision of advertising-related perks to purchasers as a way around § 2(a)’s prohibition on price discrimination.” The Court said that to the extent Clorox’s bulk packaging was a discount, it fell within the ambit of § 2(a). Clorox and other consumer goods manufacturers are likely relieved that the common distribution practice has been upheld, at least for the most part. It wasn’t a total win for Clorox, however. The 7th Circuit seemed to say the decision could have been different if packaging attributes actually promote the product. In its opinion, for example, the Court discussed packaging of fun size candy bars sold in Halloween-themed packages in October. A candy manufacturer’s refusal to sell that product to small retailers might well be a violation. The Robinson-Patman Act, the Sherman Act, and other antitrust and restraint of trade laws are quite complex. Maneuvering through the minefields generally calls for assistance and guidance from experienced attorneys. 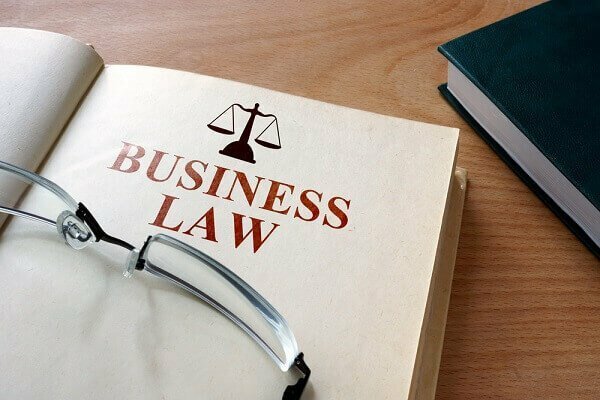 The Milwaukee business litigation firm of Kerkman Wagner & Dunn, S.C. has more than 50 years of combined legal experience representing business owners in Wisconsin in all types of regulatory situations and in both state and federal courts. Our firm has big firm talent and provides small firm attention. Call us at 414-278-7000 or complete our online contact form.